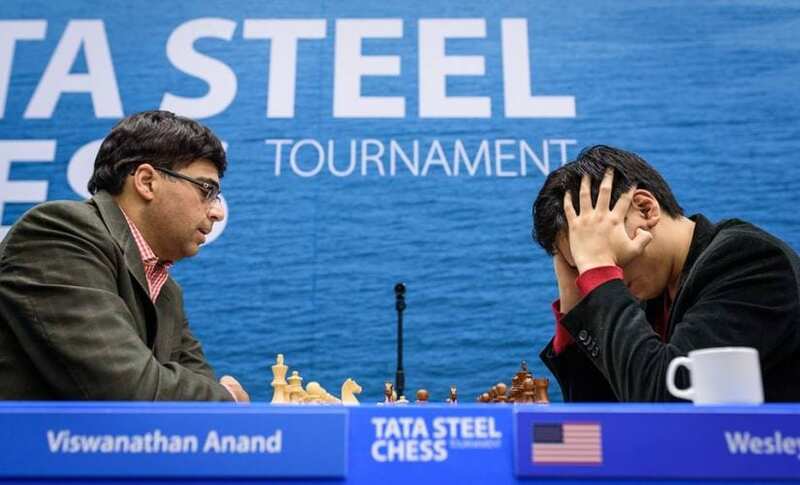 Going into the penultimate round of Tata Steel Masters three players – Shakhriyar Mamedyarov, Magnus Carlsen and Anish Giri – were in the lead with Viswanathan Anand hot on their heels, half a point behind. But after the storm of battles of round 12 changed the scenario greatly. 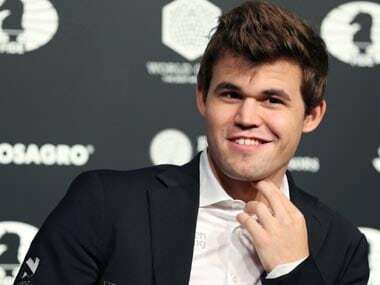 Scoring much needed victories, Carlsen and Giri managed to race past their opposition while Mamedyarov took a quick draw, much to the surprise of both his rivals and the spectators. Anand also drew his game with the white pieces against Wesley So in a very theoretical battle in the Open variation of the Ruy Lopez. This draw for Anand means he is more or less out of contention for the title prize. Of course, in strict mathematical terms, the Indian chess legend is still in contention. But for him to win the title, both Giri and Carlsen would have to lose their games in the finale while Anand wins his game, which is a very unlikely scenario. As for Mamedyarov, he will have to win at all cost and pray that Carlsen and Giri don’t win. In the penultimate round, the grandmaster from Azerbaijan had a good chance to push for a win. He was pitted against one of the tailenders, Gawain Jones. Giri and Carlsen were playing lower rated opponents as well — Adhiban and Maxim Matlakov, respectively — and were expected to push all out for a win. With that in mind, Mamedyarov’s opening choice of the Petroff was in itself quite a dubious one. To add to this, Jones was able to force a draw immediately out of the opening via repetition. 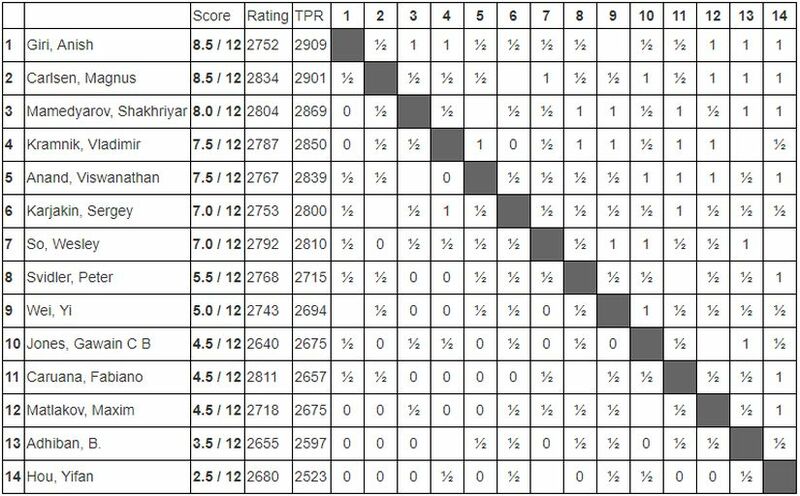 If Mamedyarov wanted to continue, he would have had to accept an inferior position. Mamedyarov was, hence, forced to accept the draw offer and watch Giri and Carlsen win their games in style. Giri had some problems in the opening against Adhiban who had surprised the Dutch number one with a Benoni. Out of the opening, both players struggled a bit with their piece development but in a few moves, Giri was able to generate extraordinary complications in the position. Adhiban responded with equal vigour but the tactics seemed to be in the Dutchman’s favour. At the end of the tactical sequence, Giri emerged with an extra pawn with barely any compensation for the Chennai lad. 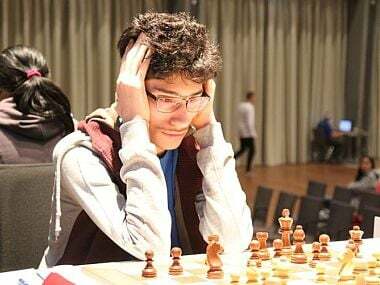 Adhiban limped on hoping to create threats against the white king but after Giri had defended all threats, the Dutchman had both extra material and a better position. In the final position, Adhiban was a piece down with threats looming against his king. Two moves after the first time control, Adhiban decided to call it a day. Carlsen, too, seemed to be in a drawish position against Maxim Matlakov. From the white side of a Sicilian Taimanov, the world champion was able to win a pawn out of the opening. But the position had already liquidated into an endgame where both sides had a rook and bishops of opposite colour. To add to this, Carlsen’s doubled pawns on the queenside did not seem to be helping his cause. It looked like Matlakov was going to hold ground and sign truce with Carlsen. As play progressed, the Russian GM also managed to swap a pair of rooks and temporarily win back his pawn. But Carlsen regained his pawn almost instantly and traded one of his doubled pawns for Matlakov’s rook pawn. The resulting position still looked drawish but this was that perfect position for Carlsen where he could press for an advantage until eternity while his opponent had no forced draw in sight. 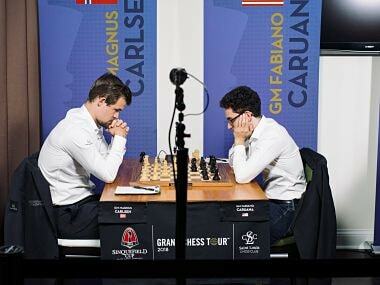 In the next phase of the game, Carlsen systematically outplayed his opponent in his trademark style. By the 57th move, Matlakov was in no position to stop Carlsen’s queenside passer. He could, of course, have given up a piece but that would only have delayed the inevitable end. At this point, Matlakov decided to throw in the towel. Another game of interest was the one between Viswanathan Anand and Wesley So. The former was in contention for the title being only half-a-point behind the leaders. Moreover, Anand had the white pieces. Interestingly, So did not go for the dreadfully drawish Berlin in the penultimate round but instead chose to test Anand in the waters of the Open variation of the Ruy Lopez. The game was more of a theoretical debate for the most part but after a mass trade of pieces in the middle game, players were left with equal pawns in an endgame with bishops of opposite colour. Immediately after the queen trade on move 32, peace was signed. 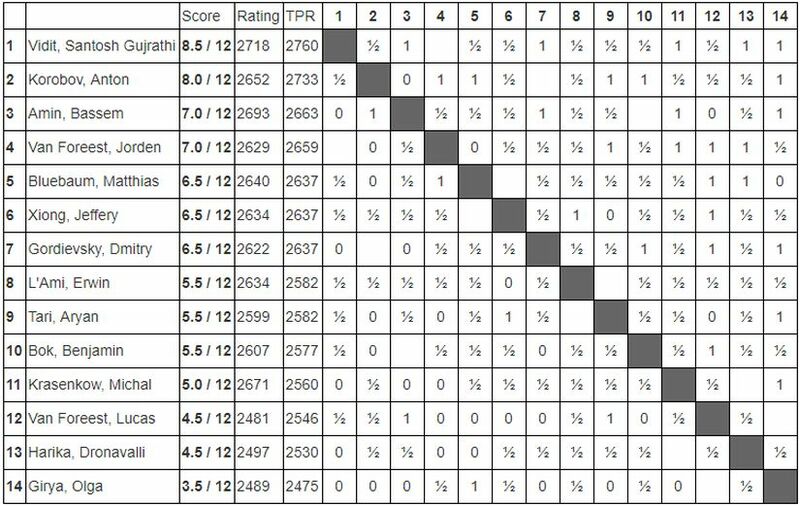 In the Challengers’ group, there had been a deadlock between Vidit Gujrathi and Anton Korobov at the top for several rounds. In fact, even their head-to-head encounter in the previous round had ended in a draw. Round 12 had pitted both Gujrathi and Korobov against lower rated opponents. Korobov even had the white pieces in his game against the only international master at the event, IM Lucas van Foreest. It took no genius to predict that Korobov was going to go all out for a win. But as it turned out, Van Foreest was a tough nut to crack for the Ukrainian GM. From the black side of a Queen’s Gambit Declined, Van Foreest allowed his opponent no chances out of the opening and after all pieces were traded in the middle game, played the knight endgame extremely well to hold on to a draw. 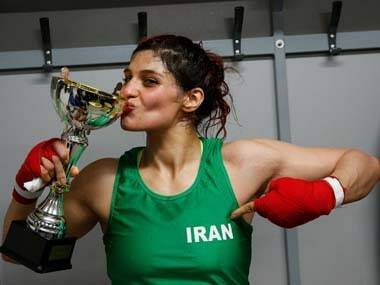 Gujrat’s game against Olga Girya, on the other hand, went on a very violent course. Quite befittingly to the venue of the event, the Indian number three deployed the Dutch defence with the black pieces and went on to generate tremendous initiative on the queenside. Right out of the opening, Gujrathi had a dominating position. On his 21st turn, Vidit sacrificed a bishop to rip open the pawn shelter of the white monarch and by the 26th move, it was all over. With this win, Gujrathi has almost engraved his name on the champion’s trophy. Unless he loses with the white pieces in the final round — which is highly unlikely given his form — he has good chances of being a part of the Masters’ segment next year. Another hurdle in Gujrathi’s way might be the tie-break. Since he has drawn against Korobov in their head to head encounter, the Sonneborn Berger tie-break will be applied. Currently Vidit is ahead by 1.25 points in the tie-break as well. But nothing could be said after the final round. But this is only if Korobov manages to catch up with Gujrathi in the final round. As of now, the Indian enjoys a clear half point advantage.